If there is ever a place in America that could be called "Squatchy", it would have to be Willow Creek. Willow Creek is where the most famous of all Bigfoot sightings occurred. It is sacred grounds for Bigfoot believers. 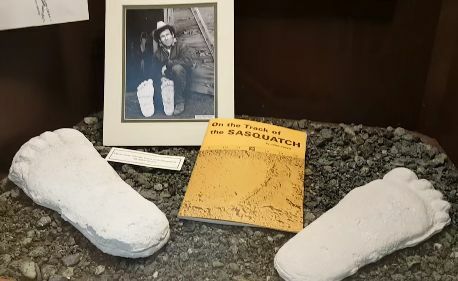 It is the place where a couple of cowboys by the names of Roger Patterson and Bob Gimlin, rode up on an alleged Bigfoot in 1967 and produced the best footage of a Sasquatch to date. The fact that the legitimacy of the footage is still being argued to this date, is telling. On that note, what better place to put a Bigfoot Museum than the infamous Willow Creek. Here is a look into the museum.